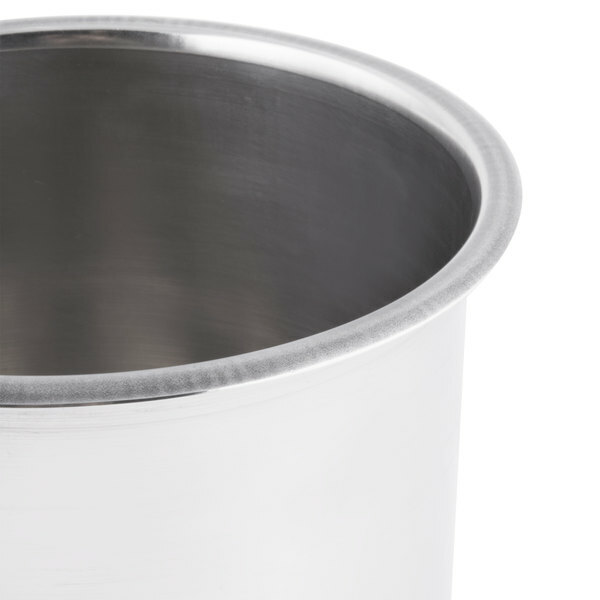 What is the difference between a bain marie pot and an inset pot? We have found that many of our customers use the two names interchangeably. The tapered insets, as we call them, are more common and will sit higher in an adapter plate than a straight sided bain marie pot. However, both serve the same purpose. This bain marie is made of 18/8 stainless steel and features a mirror polish finish exterior and satin finish interior. It can be taken them from kitchen to the serving line. 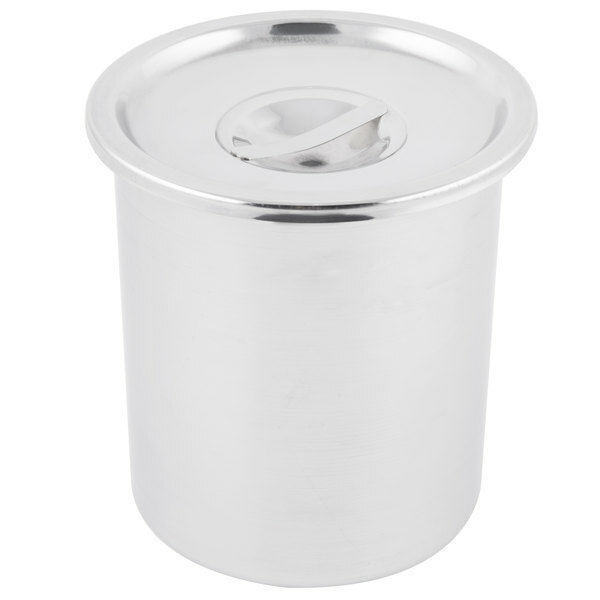 This 3.5 qt bain marie pot is a quality item that stands up to every day use in our commercial kitchen. It is incredibly versatile; a must-have for serious kitchens. 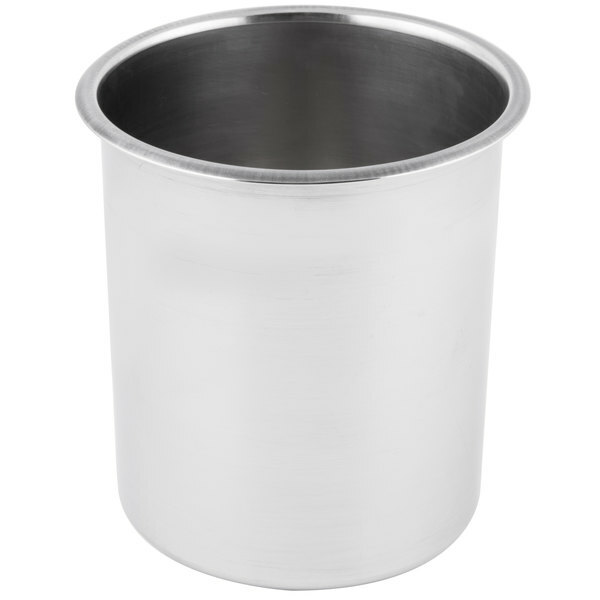 This bain is the perfect size to keep on your counter as a utensil crock. It's spacious enough for many pairs of tongs, whisks, wooden spoons, and ladles. It can be a bit deep for smaller utensils though, such as small spatulas and pastry brushes. We use these for our queso in our carnival warmer, and it works great. Keeps it warm and it is super easy to clean. Highly recommend! Very sturdy, good looking and has a nice looking finish. We are very happy with this product. The lip of the pot has a nicely rolled edge that doesn't tear gloves like others we have purchased. Nice quality bane marie pot. 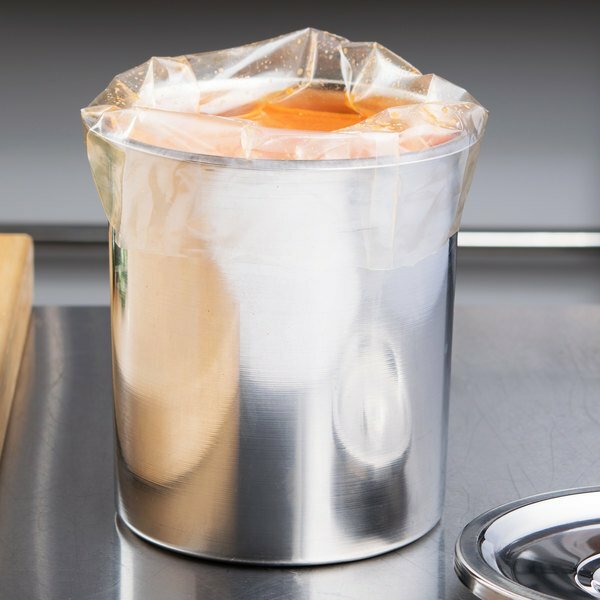 Great for holding sauces in a steam table. We use is for holding utensils on the line and our work stations. 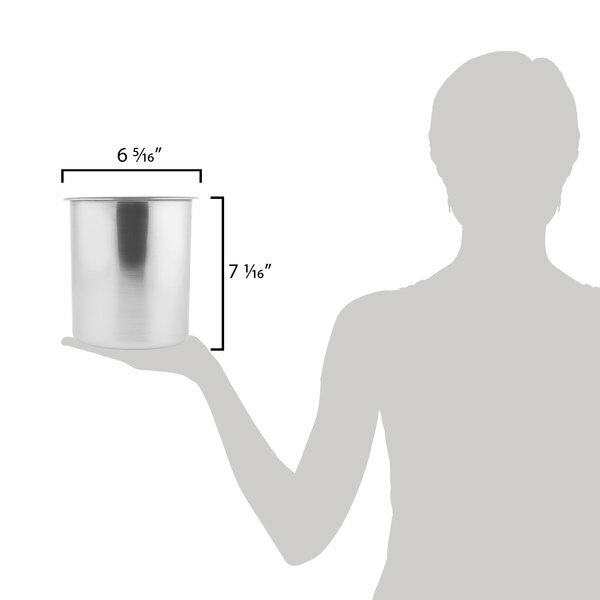 These Bain Marie pots are the perfect size for holding sauces hot while getting ready to serve. They are sturdy and clean looking on the prep table. Perfect Bain I've for holding most things hot. Stainless steel looks nice if in open kitchen and cleans very easily. Could be used for cold items as well. These metal pots are great. I use them as knife and spatula holder for my prep tables. The serve a multitude of purposes so you can't go wrong with them. Not to mention the cheap price! I know this is a real pot, but I intend for it to be a toy. My kids are getting a KidCraft wooden kitchen, and I wanted some pots and pans for them to use. After being disappointed with the "toy" sets, I opted for small, real pots and pans. This will be perfect. It is safe for them (food grade) and was considerably cheaper than the toy version. Wow!